Stylish cafe table base with a round foot, suitable for use with table tops up to 800mm round or square. 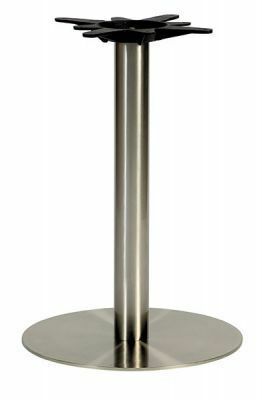 Theses table bases are available from stock for a quick delivery. 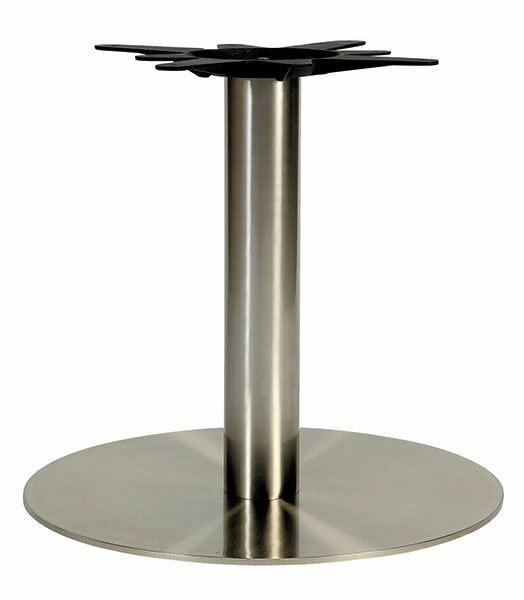 Desirable stainless steel café table base with circular base available from stock in two heights. Overall professional look and design.